Air Conditioning Services | Airmaker, Inc.
For Over 30 years local home and business owners just like you have trusted the professionals at Airmaker, Inc.
With the extreme summer weather that we face in Illinois there will be a time when your air conditioning system may face repair needs. In the event that your AC isn’t keeping up, or is simply not working properly you can depend on the trusted professionals at Airmaker, Inc. Always be confident with a satisfied repair job… guaranteed! We repair all major brands! We can repair any piece of air conditioning equipment that you may have. Our installers are certified and provide quality installations. We train our technicians to exceed standards. Expect us to install your equipment with confidence.Our team of installers will professionally and carefully install and service your home comfort system. We use only new equipment and the best materials available. 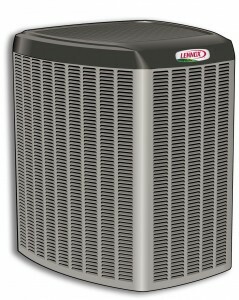 American Standard, Trane, Lennox, Bryant, Rheem, and more.